SAN JOSE, Calif. (CN) – In the seemingly never-ending smartphone patent war between Apple and Samsung, both sides delivered opening arguments in a Silicon Valley federal courtroom, this time on how to fairly calculate damages Samsung owes Apple for infringing five of Apple’s patents. Apple contends Samsung owes $1.1 billion, saying it is entitled to the entire profit generated by Samsung’s infringing phones. Samsung argues the Cupertino-based technology company should only get a portion of the profits that directly relate to the three design patents at issue. An article of manufacture is a patent term that describes the product. The three design patents in this case relate to the iPhone’s distinctive design features – including the phone’s black rectangular face, the stainless-steel rim that surrounds the face (called a bezel) and the graphical user interface that appears on the screen when the phone is turned on. Samsung is asking the jury to determine how much each of these discrete elements is worth and then assess damages accordingly. Apple, on the other hand, asserts the article of manufacture is the entire phone. Lee also used his opening statements to remind the jury of how revolutionary the original iPhone was when it came out in 2007. Apple then took the smartphone market by storm due to how it packaged technology, rather than developing the technology itself. Seeing its market share dwindle and hoping to resurrect its flagging fortunes, Lee said, Samsung copied Apple’s emphasis on design and watched as its sales soar once again. Quinn parried those accusations, saying Samsung’s sales soared not due to iPhone’s “minor design elements” but because the company employed the Google Android operating systems on its phones and struck more favorable deals with cellphone carriers. However, the central fight will be over whether the three design patents constitute discreet parts or the entirety of the smartphones at issue. The U.S. Supreme Court, which took up the Apple-Samsung patent fight in 2016 after a series of appeals, ruled on a narrow aspect of the case by finding juries and judges can look at discrete articles of manufacture, or components of a product, when assessing damages. It was viewed as a win for Samsung at the time, and the technology company seems intent on advancing that legal theory during the current trial. The jury will have to decide if the Supreme Court’s caveat applies to the current case, or if Apple’s characterization of the matter is more correct. The Apple-Samsung patent fight has been going on a long time, and the third time the matter is before Koh. Originally filed in 2011, the case drew significant media attention as it provided insight into the operations of two notoriously secretive and highly successful technology companies. In 2012, a jury sided with Apple on its infringement claims and awarded the company $1.05 billion in damages. 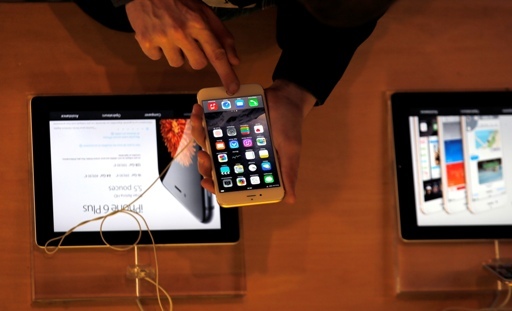 Apple originally sought $2.75 billion in damages. After a round of appeals, Koh lopped $405 million off the jury’s original damages award, ordering Samsung to pay up to the tune of $548 million. Only $400 million of that total is at stake during this retrial, which is expected to last through the week.